Are you just about to open up a brand new business? If so, there are a number of factors that you will need to take into consideration. Among these is the fact that you will need a name for your domain. Your domain is the place that your official company website will occupy on the Internet. The name you choose for your domain, including your URL, will need to be as catchy and memorable as possible. You are fighting for the chance to make the best possible first impression on a visitor to your new website. This means that you need to get everything right the first time, because you may not get a second chance. following top 3 things every webmaster must consider when choosing a domain name for business websites and blogs. 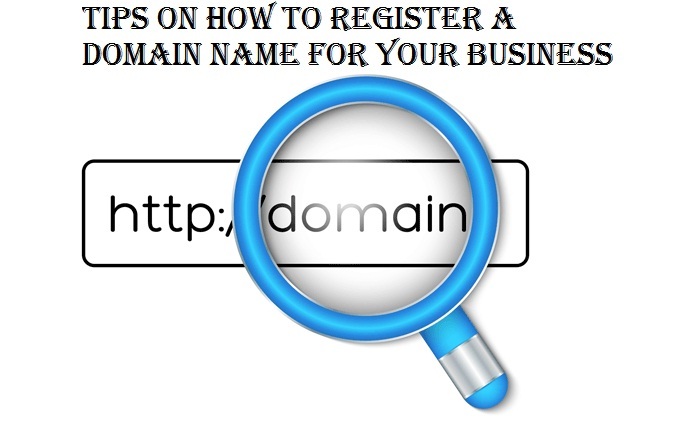 When it comes time to register or buy a domain name, you need to think long and hard about it. You want to get the best possible domain name for your site. You want to get the best possible deal for your dollar. While this is not an area in which it is advisable to skimp on, you still don't want to pay a ridiculous amount of money for this particular service. After all, you are establishing your presence on the Web to make money, not to give it away to a web hosting service. You will want to do a significant amount of research before you decide to sign on the dotted line with a service provider. The name that you choose for your domain needs to be as memorable as possible. You don't want to choose a jokey or trendy name that will be out of date in a very short amount of time. You also don't want to make the spelling of the name too exotic. It's best to select a name that is easy to spell and easy to pronounce. Keep it as short and simple as possible. You don't want to make your customers spell out a 20 letter name every time they want to log on to your website. The easier your domain name is to spell, pronounce, and remember, the more often visitors will be likely to log on to it. Buying or Registering the domain name for your website is the easiest part of the entire process. This is because there are now dozens, if not hundreds, of companies to choose from. But when it comes time to narrow your selection down to the ultimate provider that you will sign with, you will need to be absolutely sure that you are getting the best deal for your dollar. This is one area where you cannot afford to settle for second best. A reputable and professional provider of web domain name services is one that will enable you to register your domain name under an arrangement that is flexible. You don't want to be restricted to a tiny amount of bandwidth three years down the road after your business has expanded by an exponential margin. A good domain hosting deal is one that will give your website the freedom to grow along with the business it represents.